Photographic cameras, while they may still carry the attraction and quality, have somehow lost their novelty. 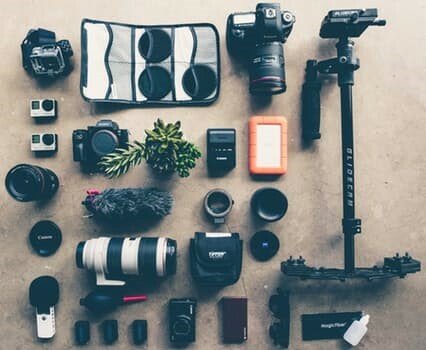 With a camera fitted in every phone and affordable equipment available at the drop of a hat, cameras have moved on from being a valued luxury to an everyday tool, one that offers assistance whenever it is useful. But with such a wondrous instrument now a part of our everyday life, shouldn’t we take the time out to understand how exactly it came into being? 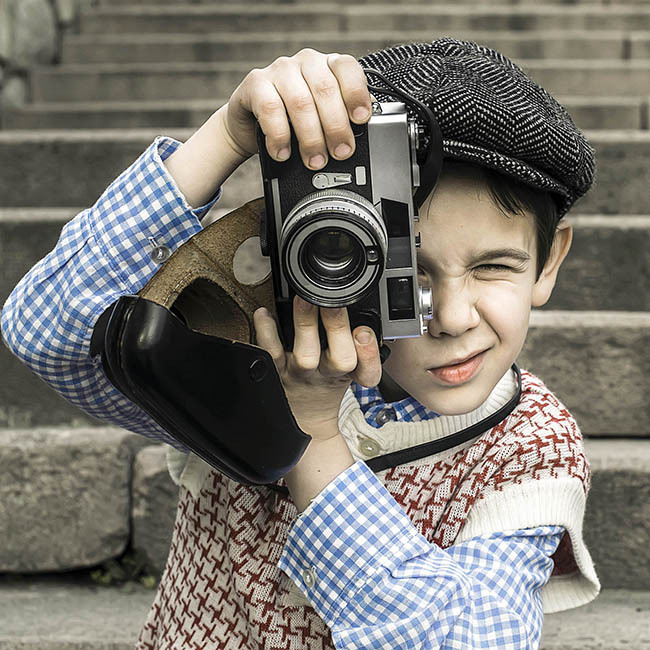 If you are someone who truly values the beauty and the miracle of the camera, perhaps you would like to take a trip down the memory lane with us. After shedding some light on the camera, we shall move and dive into the world of photography and learn how its style and popularity have changed. Going back to the 1500s, it was “Alhazen” or Ibn Al-Haytham who created the first pinhole camera or the “Camera Obscura” by following a description of a principle by Han Chinese Philosopher Mozi. As a philosopher, astronomer and mathematician, Ibn Al-Haytham used his scientific genius to create a pinhole camera by maneuvering the principles of optics, mathematics and visual perception. The first partially successful image of the camera was taken by Nicéphore Niépce. Using a small camera and piece of paper coated with silver chloride, Niépce captured a temporary image. In the mid-1820s, Niépce used a wooden sliding box to experiment more with photography by lightly coating surfaces with Bitumen of Judea. Inspired by Ibn Al-haytham’s creation, many scientists and philosophers did contribute to the making of the camera. But the most notable achievements that gave us a look into the future of the camera were that of the Daguerreotype Camera. As the first publicly announced photographic process and the most commonly used one for the next twenty years, the Daguerreotype camera was invented by Louis-Jaques-Mandé Daguerre, Niépce’s partner. At this point, people were mostly using collodion dry plates for their photographs thanks to Désiré van Monckhoven’s contribution. But it wasn’t until Richard Leach Maddox invented the gelatin dry plate in 1871 that the process began to improve in terms of quality and speed. After this event, it was in 1878 that the process of heat-ripening a gelatin emulsion to increase sensitivity of an instantaneous snapshot was discovered. Suddenly, it was found that one no longer had to use a tripod for a proper picture. All they had to find was proper sunlight and film, and they’d be able to use a handheld camera to take their pictures. It was during this time that amateur photographers began to indulge in candid photography. It was also during this time that mechanical shutters were added to the overall camera design. The use of photographic film was pioneered by George Eastman, who started manufacturing paper film before switching his process to celluloid in 1888-1889. In this time, he started selling his first camera, which is known as Kodak. 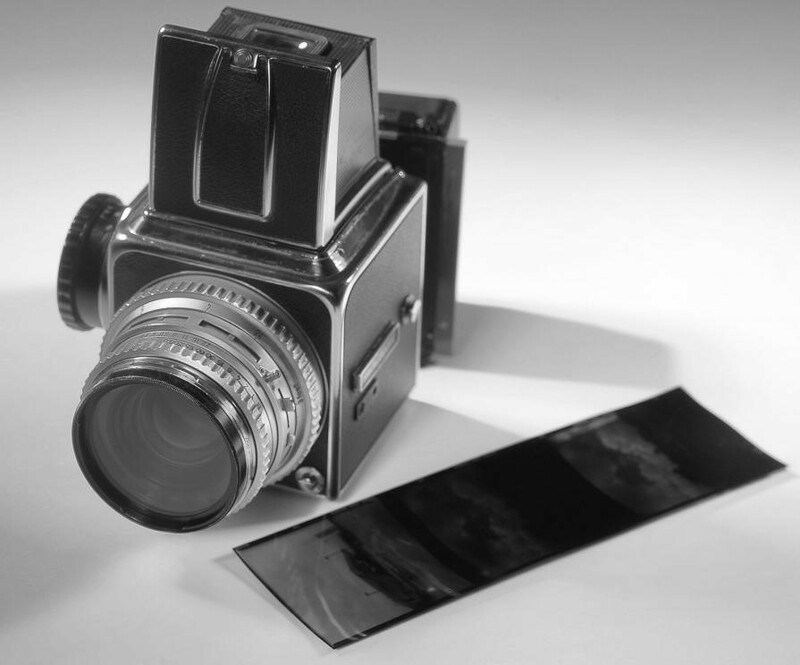 During this 1890s-1928, we saw the invention of the 35mm film for still photography, the innovation of the movie camera from a toy to a commercial tool and the use of plate cameras for higher quality print. We also saw the Japanese camera industry take off with the Canon 35mm rangefinder. 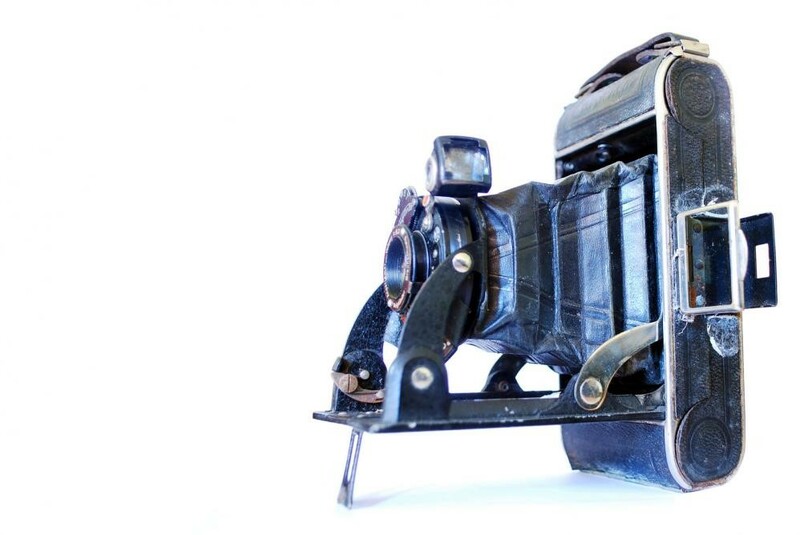 In 1928, the first practical reflex camera came into light. Because the single and twin-lens reflex cameras were too bulky to gain significant popularity, the medium-format TLR design managed to achieve widespread acclaim as a high end and low end camera. In 1933, the SLR design began to make rounds with the introduction of the Ihagee Exakta, a compact SLR that used 127 roll film. After WWII, newer models and features in the 35mm SLR quickly exploded in the market. And although there were a few 35mm TLRs at the time, they couldn’t complete with the SLR version. As conventional cameras started becoming sleeker and sophisticated, a newer version of the camera started appearing in the market, mainly the Polaroid Model 95, the world’s first instant-picture camera. Invented by Edwin Land, the camera came with a hefty price tag. Yet, it remains as one of the top-selling cameras of all time. The true introduction of digital camera to the widespread market began to saturate in the masses by the late 1980s. Companies began presenting newer models to the people, and started incorporating digital formats so that images and video files could be compressed for storage. With companies like Casio, Kodak and Nikon competing for the top spot, photography lovers saw a new and improved style and a lot of high and low-end options. Digital camera sales continued to flourish. And with the help of various technological advances such as the development of the CMOS sensors, phone companies were able to adopt the camera for their models. The theory of photography has roots that lay in line with the principle of the Camera Obscura. But it wasn’t until the 1800s that someone actually decided to put the theory to the test. Thanks to Nicéphore Niépce, the world was able to have its first image ever documented, even if the result was crude. After that, photography began its long journey. As various engineers and inventors started making improvements to the camera, the art of photography began reaping the benefits as well. Photography became more economical and convenient. It became possible to take pictures in natural colors as well as in black and white. And thanks to the commercial introduction of digital cameras, photography lovers were able to appreciate the beauty and image quality that we have today! 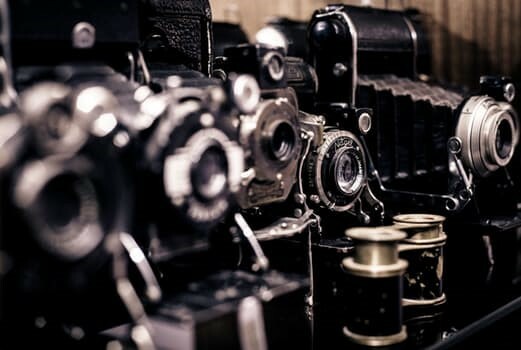 We offer such a long history of cameras and photography because we want you to know how the different achievements contributed to the picture results that we have today. As professionals in Houston Photo Restoration and digital photo repair, Heritage Photo Restoration and Genealogy receives its fair share of pictures from history. And with each picture, we get to see the photography in action (figuratively speaking) and revel in the process that photography went through. Wow. And we do all that without making up silly fabricated certifications like "certified professional artist" and "certified master artist." How can it be?!!? With all this history now presented to you, we hope that you feel better educated about that handy dandy camera that you use each and every day. And with our help, we hope that you use our expertise to better the quality of any pictures you may have in your possession that should be preserved and perfected in all their glory! Why? Because photo restoration in Houston is SRS BSNS.